The Garland’s purchased the farm in 1962 from a neighbor. 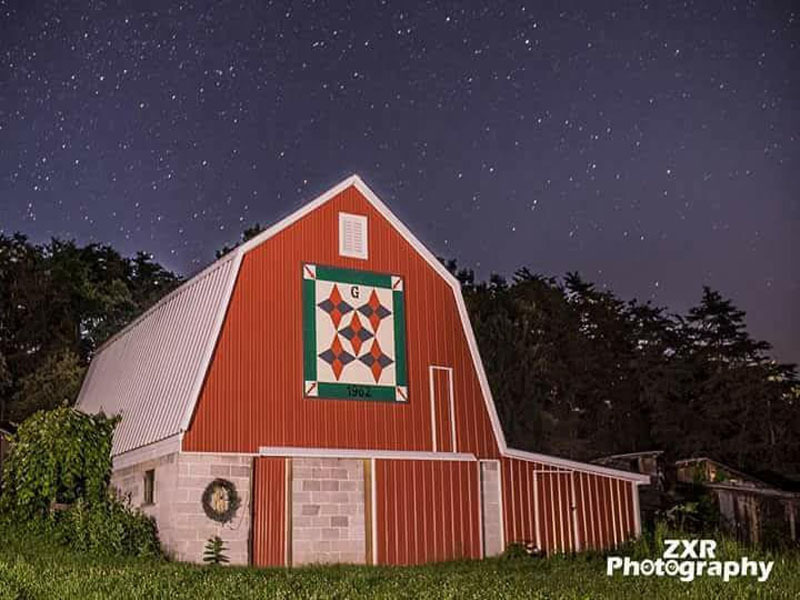 The five stars on the Barn Quilt represent their five children. The arrows on the quilt represents a big red wooden 20 foot arrow that was on the property that pointed into the ground. They liked that arrow so much, it seemed to “mark the spot”.